Michel Houellebecq's new book may be satirical and melancholic, but it is also hilarious, a comic masterpiece by one of France's great novelists. Meanwhile, it's election season. And although Francois feels "about as political as a bath towel," things are getting pretty interesting. In an alliance with the Socialists, France's new Islamic party sweeps to power. Islamic law comes into force. Women are veiled, polygamy is encouraged, and François is offered an irresistible academic advancement - on the condition that he convert to Islam. Adam Gopnik in The New Yorker has said of Submission that "Houellebecq is not merely a satirist but - more unusually - a sincere satirist, genuinely saddened by the absurdities of history and the madnesses of mankind." Michel Houellebecq's new book may be satirical and melancholic, but it is also hilarious, a comic masterpiece by one of France's great novelists. As you read the epigraph from J. K. Huysmans's novel En route, what route did you expect Submission to take? What makes Huysmans an ironic choice for François's research, despite the many parallels in their lives? What makes a professor of literature an ideal person to narrate this novel? How did your opinion of François shift as he recounted his experience? What traits make him an effective storyteller? In Submission, is Michel Houellebecq satirizing only the French intelligentsia? Do you notice the same points being raised in American political life? Despite the controversial subject matter, and Houellebecq's well-established reputation as an agent provocateur, there is no hysterical scaremongering to be found in this novel. 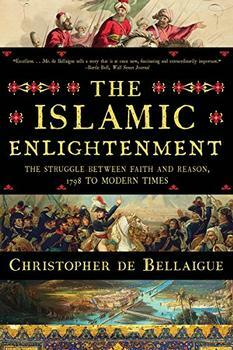 It is a thoughtful, considered, well-informed imagining of an Islamic France. The religion itself and its leaders are, if anything, portrayed in a largely positive light. The reintroduction of religion into the everyday lives of the French people is an antidote to the widespread dissatisfaction, loneliness and lack of fulfilment that had been engendered by decades of living in a shallow consumerist society. That said, Houellebecq doesn't shy away from the less desirable consequences of living in an Islamic state, particularly for women. It is an augury, a feasible portent, a herald of a "maybe" future, with the author its possibly prescient avant-courier. More than anything, for good or ill, this is very much a book for our times. (Reviewed by Sinéad Fitzgibbon). The narration is enjoyably sardonic, a pungent mixture of deadpan jokes about sexual politics and close reading...Darkly clever and funny. A diligent, even-tempered novel of ideas. A work of real literary distinction...[Houellebecq] has been the novelist who has most fearlessly and presciently tackled the rise of Islamic extremism in recent years...He is a writer with a gift for telling the truth, unlike any other in our time - I've been consistently saying he is the writer who matters most to me for many years now...There is nobody else writing now more worth reading. A fine, deeply literary work...It is genuinely more admiring than critical of Islam...It's electrifying; no recent English-language novel compares. Compelling - challenging even - for readers looking for a clever book with a philosophical bent and antithetical to, or perhaps an antidote to, beach reading. True, it won't make ISIS's holiday reading list, and it will offend cultural-relativist pieties. Still, though clunky and obvious, it's well worth reading as a modern work of literature engage. Starred Review. This novel is not a paranoid political fantasy; it merely contains one. Houellebecq's argument becomes an investigation of the content of ideology, and he has written an indispensable, serious book that returns a long-eroded sense of consequence, immediacy, and force to contemporary literature. Extraordinary... if there is anyone in literature today, not just in French but worldwide, who is thinking about the sort of enormous shifts we all feel are happening, it's him.